Today, childhood leukemia has a long-term survival rate of more than 80 percent. Before Dr. Emil “Tom” Frei III began his research in the field more than 50 years ago, it was lower than 10 percent. 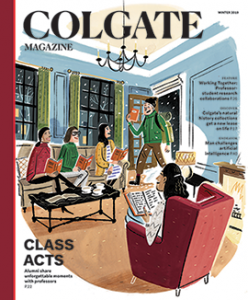 Frei studied pre-med at Colgate for two years as part of the Navy V-12 program and earned his MD at Yale. He went on to serve with the Naval Medical Corps in the Korean War. 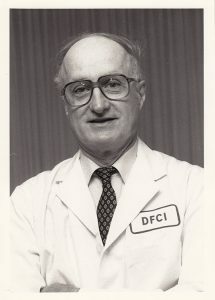 In the mid-1950s, Frei joined the National Cancer Institute. There, he began pioneering research into chemotherapeutic applications. At the time, chemotherapy was a dangerous and often fatal procedure that involved the basic application of certain compounds — many of them derived from wartime chemicals like mustard and nerve gas — to tumors and cancer-infected regions. Frei thought there must be a better way. His work at the National Cancer Institute led to the discovery of combination chemotherapy, which involves making use of a number of separate compounds in small doses. The effects of combination chemotherapy were groundbreaking and momentous; not only did the smaller doses neutralize the dangerous effects of the compounds themselves, but they also caused a multiplicative effect on tumors. 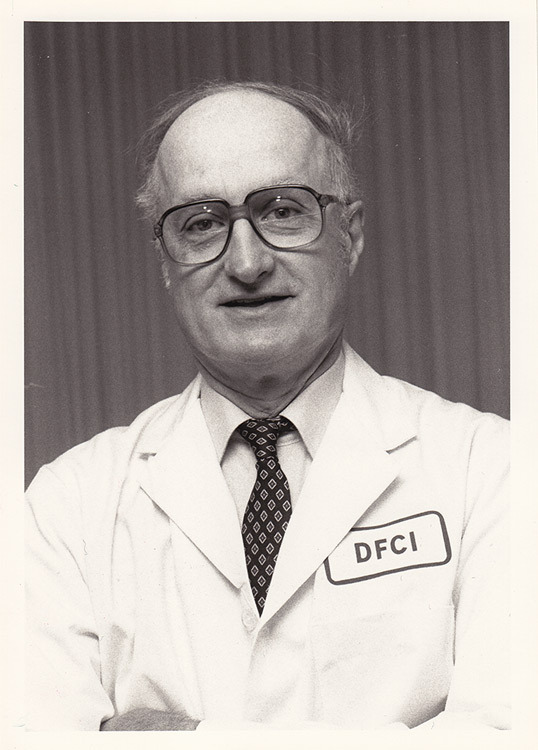 By 1965, Frei had revolutionized the field of cancer treatment. Chemotherapy had gone from a “treatment of last resort” to having an astounding survival rate of more than 40 percent. In effect, Frei’s combination chemotherapy would serve as the basis for countless innovations in the field of cancer treatment for years to come. He would later hold senior positions with the M.D. Anderson Cancer Center, the Dana-Farber Cancer Institute, and the Acute Leukemia Group B, which he co-founded. Frei taught at the University of Texas and Harvard University, and he co-authored the book Holland-Frei Cancer Medicine, of which nine editions have been published. On April 30, 2013, Frei died in his Oak Park, Ill., home. He was predeceased by his wife, Adoria, and his brother; he is survived by four daughters, a son, and 10 grandchildren. Frei’s colleagues remembered him as someone with a personality to match his achievements. “He was charming, soft-spoken and careful,” Dr. Siddhartha Mukherjee, a prominent figure in contemporary cancer research, said in the New York Times.